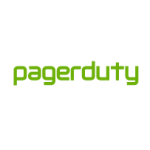 PagerDuty is an operations performance platform delivering visibility and actionable intelligence across the entire incident lifecycle. It is my third coop term. Great work-life balance. Mentorship needs to be improved. Projects are quite challenging. You need to take more initiative to really make an impact. I was given the opportunity to work on projects that i was most interested in. The team was extremely helpful and the work/life balance is awesome. I've interned with Facebook for 2 terms and both terms have been very exciting. It largely depends on your team but my work was not very interesting. My team had very little guidance and mostly consisted of 16 month interns from other schools. We were actually entirely trained by the previous year's interns during a 4 month overlap, we rarely saw a full time employee on our team. You'll never meet a nicer group of people! I pulled tickets from the same backlog as the rest of my team that was meaningful to the company's goals. 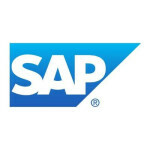 They use the latest tools and have really good software development practices. The one-on-ones with both my mentor and my manager were tremendously valuable as well. The company and intern events were also really fun and made the 4 months an amazing experience. I worked here in 2017. Interns are assigned projects on the infrastructure team that they are responsible for. Each intern is assigned a mentor that is responsible for helping them with their project. The projects were all very useless; the kind where you know it won't be in use at all after you leave. Overall, the work was very meaningless and I didn't learn much from this experience. The perks were nice though. The toronto office is great! I got to work with a lot of nice people. Particularly my manager and mentor Blake was very helpful. He gave me a lot of room of freedom that I can decide what projects I want to work on. The job itself is very hard to explain. It's kinda a combination of later stage pm and marketing on a scale (through the sales pods). Food can be a surprise sometimes. I've had alligator and rabbit there. Gym and wellness expense are subsidized as well and you get $300 something everything on ad credits. Overall it's a very cool experience. Highly dependent on the team. My team was very good and had an interesting project that I worked on. I learned a lot and there are a lot of bright people working there. Gave a one time flight stipend ($750 if you're from Waterloo). The Toronto office has a really great, supportive culture - and you're treated as a full timer in every respect. There's a lot of focus on getting stuff done and stripping out inefficiencies / useless bureaucratic processes and "just doing it". Also, the whole company lives and breathes by their availability metrics. Even the smallest outage is taken very seriously - and it's interesting to work in a culture where no matter what you do, you shouldn't break anything. Even though interns don't go on-call, I still felt the responsibility for ensuring my code works well - and I often helped on-call devs handle incidents to get the feel. I feel like I learned a lot there, and had a lot of fun while still having relatively low levels of stress. Definitely one of the best places in Canada to work. Great pay, culture, and development seems pretty well run. Great opportunities for mentorship, but you may need to actively seek it out. Learned a huge amount from the various engineering talks as well as chatting with teammates. Really team dependent. I was in a newly formed team so every person on my team had a lot of responsibilities. We were in charge of a lot of things so we learned a lot too. Our team had a start-up culture while being backed by a large corporation like IBM. Honestly, it wasn't the most exciting work. They did offer a one time relocation stipend to help with moving. I worked at Facebook in Fall 2016 on Infrastructure. Work-wise, Facebook's internship program is very well structured; they really focus on providing mentorship and tools that allow developers to come in and ramp up quickly. I had a great relationship with my team and a lot of respect for both my team manager and internship manager; they were all very keen to make sure I was enjoying my time there. Dev experience is very polished, I was never blocked on infrastructure not being available for me to work on my project. Benefits are probably top-tier in comparison to other tech-internships, you also really bond with other interns outside of work. This is a great choice! I worked as an intern in the winter term in 2017. The culture was surprisingly awesome for such a huge company - everyone is friendly and the company is very open. The perks were top notch - housing was luxurious, buffet of great food every day for three meals, fitness stipend and snacks. I had the opportunity to work on some pretty impactful projects and was treated like a full-time employee. At work, you're surrounded by really smart, driven people. There's excellent infrastructures and tools in place for developers. Worked on the Merchant Payments team(platform). It is chill as long as you code fast.